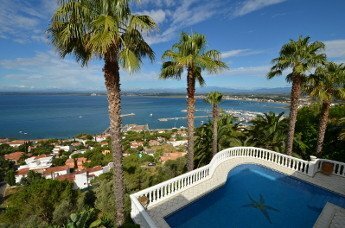 Immo Center - Costa Brava, established in 1975 as property agent in Ampuriabrava and Rosas (Empuriabrava and Roses in Catalan), is a leading Spanish real estate agency specializing in the investment, purchase, sale and rental of outstanding property on the Costa Brava, Spain. Immo Center’s broad portfolio of exclusive Costa Brava real estate for sale or rent covers villas, houses, bungalows, masias, farms, apartments, studios, flats, terrains, building plots, moorings and commercial properties. Some of the Spanish property for sale and houses for rent in Ampuriabrava (Empuriabrava) and Rosas (Roses) are owned by the Immo Center group itself and are newly constructed or completely renovated, furnished and ready to move in for your holiday in Spain. Search our Spanish Property database with your requirements, Contact Immo Center, mentioning your budget and wishes or see our Special Offers for Property for sale in Costa Brava, Spain. 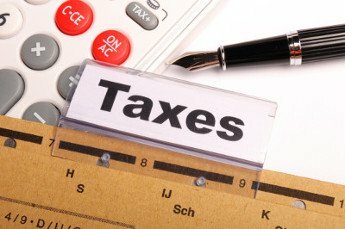 Immo Center has permanent contact with lawyers who can translate all contracts into your own language. Total house, garden and swimming pool cleaning and maintenance. 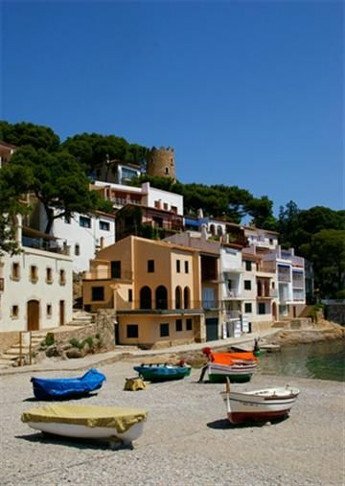 Property rental services for your holiday home in Costa Brava. Management of building or renovation projects with a highly experienced Spanish construction team expert in difficult property construction projects such as those close to the water on the channels of Empuriabrava (Ampuriabrava) and Roses - Santa Margarida (Rosas – Santa Margarita) or on the steep slopes of the Costa Brava mountains. Official collaboration with a range of banks to help fund the purchase of your Spanish house, villa, apartment, flat or building plot. 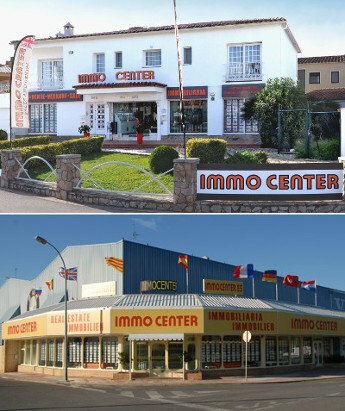 Immo Center - Costa Brava has properties in the Costa Brava from Port Bou on the French / Spanish border in the North to Barcelona in the South and offers a wide selection of property for sale or rent in Spain. From a romantic fishermen’s house for sale with own boat mooring in the residential marina of Ampuriabrava (Empuriabrava), a waterfront villa with private jetty or berth on the channels of Rosas - Santa Margarita (Roses - Santa Margarida) to a prestigious apartment in the marina of Playa de Aro (Platja d’Aro) where to dock your boat or yacht. If you are looking to buy or rent a luxurious villa or apartment in the Costa Brava mountains we can propose you properties with magnificent sea views around Colera, El Port de la Selva, Portligat, Cadaques, Rosas Puig Rom, Canyelles, Roses Mas Fumats, Pau, Palau Saverdera, Begur, Llafranc or Calella de Palafrugell. We offer first line houses for sale or for rent in Tamariu, Fornells, Aiguablava, Aiguafreda, Tossa de Mar, Lloret de Mar or Blanes with private swimming pool or beachfront apartments or flats in Llança, L’Escala, L’Estartit, S'agaro or Palamos. As a rental purchase or investment in Spain we propose a rustic property or masia for sale in Pals, La Bisbal, Torroella de Montgri or around Sant Feliu de Guixols. Or an exclusive Spanish property investment at one of the Costa Brava golf courts of Perelada (Peralada), Torremirona, Playa de Pals, Santa Cristina d’Aro or El Masnou. We have it all or we can locate it for you. Immo Center’s Commercial Property division offers commercial real estate for sale and rent on the whole Costa Brava region and in Barcelona: offices, retail units, warehouses, restaurants, bars, pubs, discos, camping’s and hotels. Live and work on the Costa Brava or in Barcelona is one of our specialties. Let us know your commercial real estate wishes and we will find your dream business in Spain for you. Immo Center is one of the oldest real estate brokerage agencies in Spain with multiple real estate offices on the whole Costa Brava. Immo Center has its head offices in Empuriabrava (Ampuriabrava) and Roses (Rosas) and works closely together with other major Spanish estate agents on the Costa Brava. Immo Center provides a complete property and real estate brokerage service, giving you the confidence that we will find the ideal Costa Brava holiday home for you and ensures that the property purchasing process goes on smoothly. We have a large portfolio of more than 1.000 properties for sale and if we don’t have what you are looking for, we will find it for you.